These Pet Rescue level 669 cheats and tips will help you beat level 669 of Pet Rescue. The objective of Pet Rescue level 669 is to rescue 6 pets and get 3,000 pets. 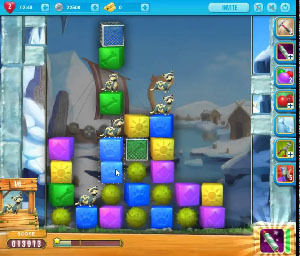 The board in Pet Rescue Saga level 669 is filled with locked blocks. When you come across a group of locked blocks you need to find they key that will unlock them. The keys will be in metal mesh crates. Make matches next to these in order to free the key and open up the locked blocks on the board. As you make your way down the board, you will come across an infected block. Look to clear these from the board as soon as possible. The infected blocks will continue to spread around the board until you have cleared them. The more infected blocks that are on the board, the less normal blocks will be on the board. Having less blocks will make it more difficult to bring down the pets. In this level you are given the rocket booster. The rocket booster will clear out an entire column of blocks. Look to place the rocket booster in a column where there are pets falling down. The rocket booster will help you to clear out columns where there are infected blocks as well.